William Theophilus Brown, a long-standing and distinguished figure in the history of Bay Area art, was born in Moline, Illinois in 1919. He studied music and painting at Yale University, from which he graduated in 1941. Upon completion of WWII military service, the artist relocated to Paris, where he worked under Fernand Leger and Amedee Ozenfant. In 1950, Brown moved to New York. There, he became deeply immersed in the nascent school of Abstract Expressionism. He befriended fellow West coast artist Mark Tobey, as well as Phillip Guston, Mark Rothko, and Willem de Kooning (who became a strong influence on the artist’s work). As his painting matured and he began to find a unique voice, however, Brown realized that Abstract Expressionism posed an ideology with which he was not comfortable. Thus, Brown left New York in 1952 to begin graduate study in painting at the University of California, Berkeley. 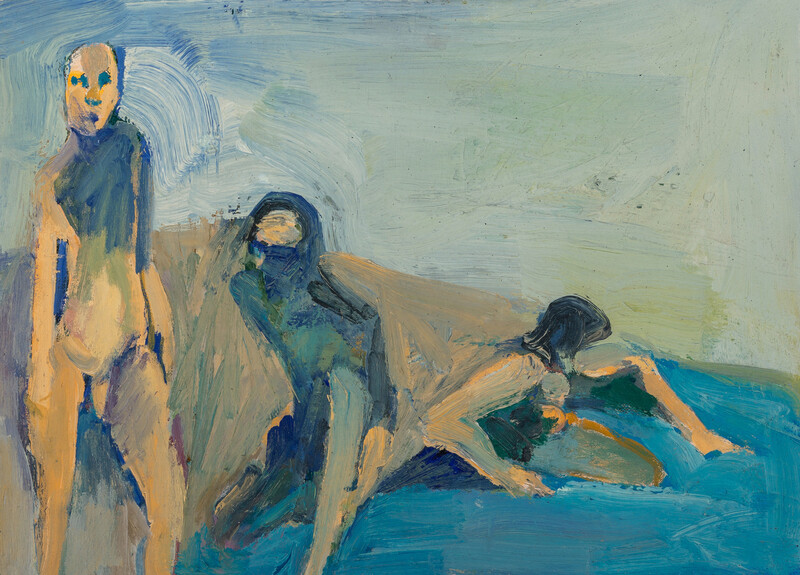 There, he met young painters Paul Wonner and Richard Diebenkorn, who—along with Elmer Bischoff and James Weeks—followed painter David Park’s example in the re-introduction of the human figure into their paintings. The group’s artistic exchange evolved into what is now known as the highly influential San Francisco Bay Area Figurative Movement, the first nationally recognized West Coast style.